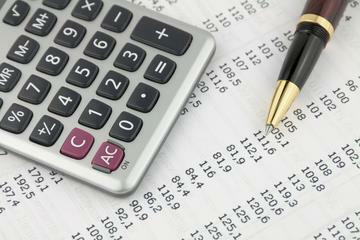 To help, Greg Jones, CEO of BookKeeping Express, a franchise bookkeeping services offers the following financial tips for business owners to financially prepare for the New Year. Review bank statements and credit card statements— These statements should always come to the business owner or card holder unopened. Review them thoroughly before passing them to the bookkeeper or other employee, thereby preventing unauthorized checks or credit card usage. These are the biggest losses within a small business. Set up a petty cash box—Set up a petty cash fun for small purchases rather than charging a credit card or personally paying for the smaller items in order to gain control of the small charges that can add up to big expenses. Using a metal cash box, add in currency and coins that total $50.00 or $100.00 as a starting point. When a small item needs to be purchased, use the money from the petty cash box and replace the money with the receipt, keeping the value of the box at the starting amount. When all of the cash in the box is gone, replenish it by writing a check to cash and expensing all the receipts. Have a storage box—Keep all records for one year in one box, including the tax return for the year, bank statements, cancelled checks, paid bills, financial statements and any other backup files in case you are asked to review your books. Switch to computer systems—When switching from paper books to computer software or switching between accounting software packages, do so at the end of the quarter. Run both systems for the next quarter simultaneously to make sure both systems are equal before disposing of the old method. Maintain daily records—If you don’t have time to do a little bookkeeping each day, when will you find time to record a month’s or a year’s worth of records? Different people have different systems, what matters most is that you have a system and use it daily. Don’t over-categorize—When categorizing expenses, don’t make it harder than it needs to be. For example, when categorizing office supplies, you don’t need to separate fax paper, copy paper, letterhead, printer cartridges, etc. All of these items can be listed under ‘office supplies’. Keep separate accounts—Have a separate checking account and credit card for your business. Not only will you be able to track expenses more efficiently, but, in the event that something goes wrong or the IRS wants to review your books, you will only need to review the one account. Save all Receipts—The IRS may only need receipts for expenses over $75.00; however, by not tracking the smaller items, you could be losing potential expenses that can be written off. Properly classify employees—The proliferation of independent contractors, consultants, and freelancers has made it difficult to determine who is on staff and who is not. This results in misfiling when it comes to filing taxes, since there are different rules and regulations for employees and non-employees.